Since the HIV epidemic began it has infected about 70 million people around the world and killed 35 million people. The World Health Organization estimates that there are 36.7 million people living with HIV around the world. The Center for Disease Control and Prevention estimates that there are 1.1 million people living with HIV in the United States and 1 in 7, of those infected, do not know that they are living with HIV. Compared to the beginning of the epidemic, we now have medicines that individuals with HIV can take that can reduce the burden of HIV and allows them to live full lifetimes that are not cut short. These solutions are not perfect and we are constantly in a battle to improve the efficacy of these treatments due to the volatile nature of HIV. Despite these treatments, we do not have a permanent answer to HIV as those on medication must continue to take them for the rest of their life. It is worth noting that one of the areas hardest hit by the HIV epidemic is Sub-Saharan Africa, where 1 in 25 individuals have HIV and which does not have a medical system as developed as the western countries, like the United States. This means that those infected with HIV may not be able to access HIV treatments because of where they live or they simply cannot afford the lifetime commitment to many of the treatments. An ideal solution in the developed and developing world for dealing with HIV is to find a permanent cure. This would reduce the cost burden on individuals and the healthcare systems that support them. It would also make it more affordable for those in poorer countries to mitigate their HIV epidemics. HIV means human immunodeficiency virus. It is spread through bodily fluids and it attacks the immune system of the person it is in. HIV attacks T-cells and the overall result is a weakened immune system that cannot protect the body as efficiently as before the infection. There are three stages of HIV infection. Stage 1 is the initial infection state, where the body attempts to combat the virus. There may or may not be symptoms, but it is also where the individual is most contagious to others. Stage 2 is the latent period, where the virus is dormant in the body. It hides within the cells but continues to work at low levels. Stage 3 of the virus is where HIV becomes AIDS, acquired immunodeficiency syndrome, the most severe stage of the infection. The viral load has increased and broken down the immune system at this point, which makes the person very infectious and very weak as most people die within 3 years of this stage. HIV also holds a deadly feature that makes it very difficult to treat and cure, a feat we have not achieved as of yet. It has a high mutation rate, like the flu virus. 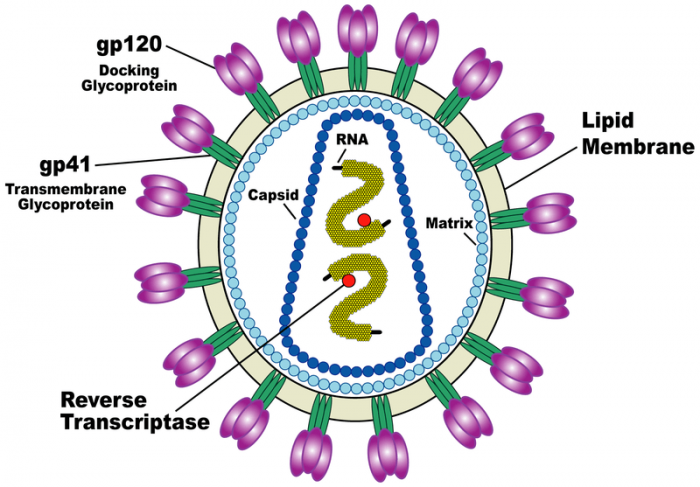 The surface proteins on the virus are constantly changing within each strain, creating other strains and making it very difficult for the body’s immune system to detect virus because our immune cells depend on identifying those surface proteins to target HIV. Antibodies also use those surface proteins to detect the virus to eliminate them, so this constant mutation results in current antibodies being ineffective. Fortunately, researchers hope to use a new type of antibody to combat this high mutation rate. Over years of infection, a very small amount of HIV patients develop broadly neutralizing antibodies (bn-antibodies), which are able to adequately attack HIV across multiple strains and reduce the burden of HIV. 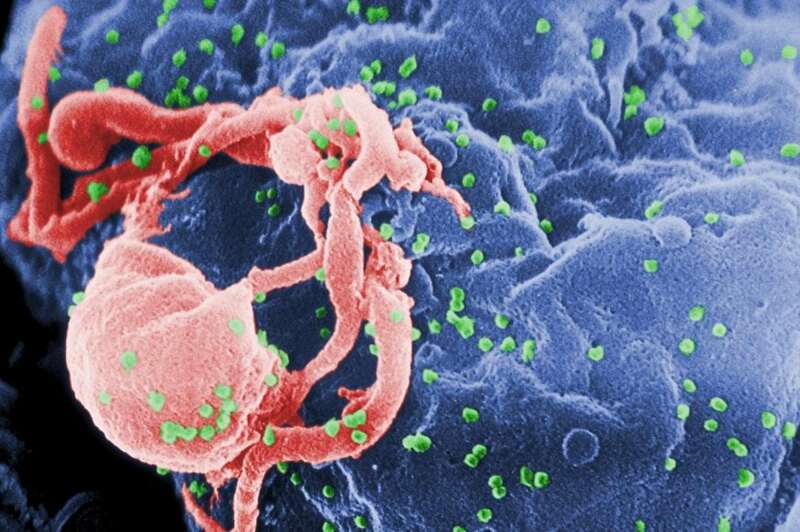 Researchers have been trying to use these antibodies as a means of fighting HIV in the general population. Recently, researchers at Sanofi and the U.S National Institutes of Health attempted to use these antibodies in a novel way to fight HIV. They used a tri-specific antibody, made of three different bn-antibodies, to target SHIV, simian HIV, in monkeys. The result was that 99% of the SHIV were eliminated in the monkeys and did not return, even when they were reinfected with SHIV. This represents a vast improvement in potential HIV treatments as even the best naturally occurring antibodies only treat 90% of HIV. They also found that the trispecific antibody had higher potency and covered more strains than most bn-antibodies. More importantly, they found that the trispecific antibody functioned very similar to bn-antibodies in humans. With human trials to start in 2018, if the success that was seen in monkeys can be continued in humans, then it stands to revolutionize how HIV is treated. While exciting, creating a functioning and safe trispecific antibody for HIV will take considerable time and resources to complete. As this process continues, the researchers in this experiment also noted that the trispecific antibodies “…constitute a platform to engage multiple therapeutic targets through a single protein, and could be applicable for diverse diseases, including infections, cancer, and autoimmunity.” While HIV could be the start of how we consider trispecific antibodies as a treatment option, there are many other avenues that researchers could pursue to help. We are entering an era where antibodies are not as effective as they used to be because of acquired antibiotic resistance in disease-causing bacteria and viruses, so we are desperate for something to combat this and one avenue could be these trispecific antibodies. Besides the great boon to human health, a permanent solution to HIV and many other diseases or severe human conditions would allow for less burden on health insurance, less money being spent on research for these issues and more money spent on other areas of human health, more time for people to enjoy life, and a better world overall. We are still years away from seeing the final results of trispecific antibody experiments, but we can be optimistic that we will learn something that can help solve our many health crises even if we do not find a cure to HIV. Previous Post« Previous Challenges In Predicting Severe Weather Events In The Northeast U.S.